Gilbane Building Company, along with Rollins Construction, acted as Construction Manager for Richland College’s new 118,000 SF, two-story science building project. The project has the points for and is seeking Platinum status under the U.S. Green Building Council LEED NC v2.2. The second floor has a landscaped outdoor terrace with a “green” (living plants) wall. The roof level contains a future astronomy lab and the penthouse. The building shape is a long and slender rectangle (474’ x 120’ foot print) with the long axis running east-west. The design allows natural light into the lab classrooms. Brick with bands of cast stone and metal panels complete the exterior skin. Over the lobby and science corner there are 18 light monitors/ skylights. 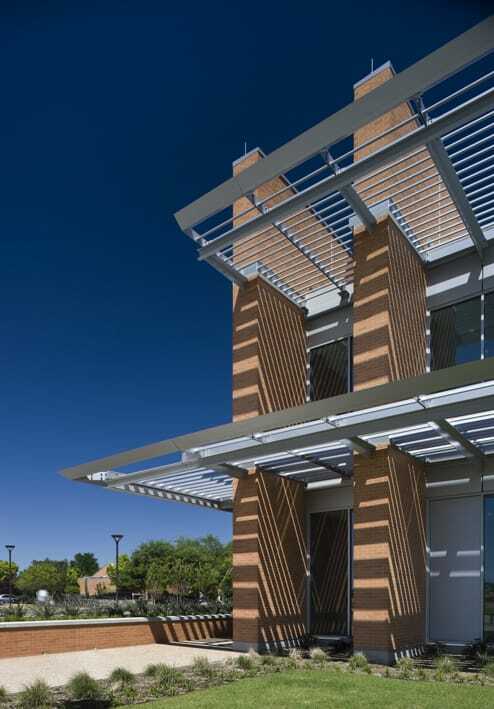 The light monitors use steel tubes and translucent insulated panels to permit light into the building while blocking direct sunlight from entering the building. 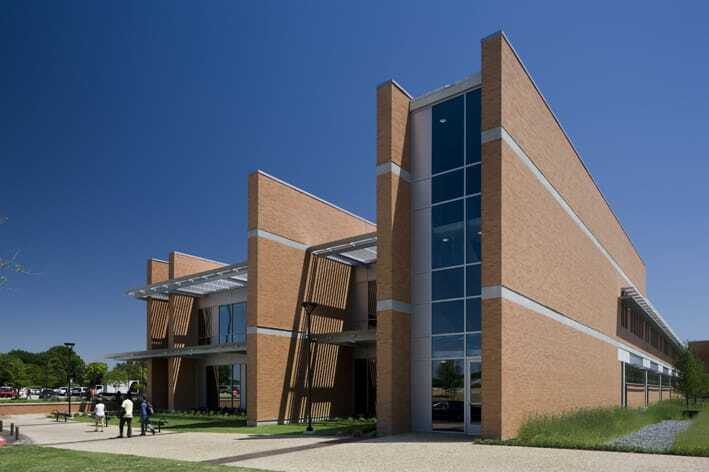 The Central Plant work included a 10,660 SF addition to the existing plant which created a new heating plant of 3,800 SF and a shell space of 6,860 SF for future Richland College facilities offices. The existing combined heating and cooling plant was disassembled, new equipment and piping added to create new cooling only plant. The building exterior is brick and cast stone bands matching the existing building and the campus standards. An east campus parking lot made up of 112 surface parking spaces was also constructed.